The preferred choice of drag racers for a sleek and lightweight designed steering system. 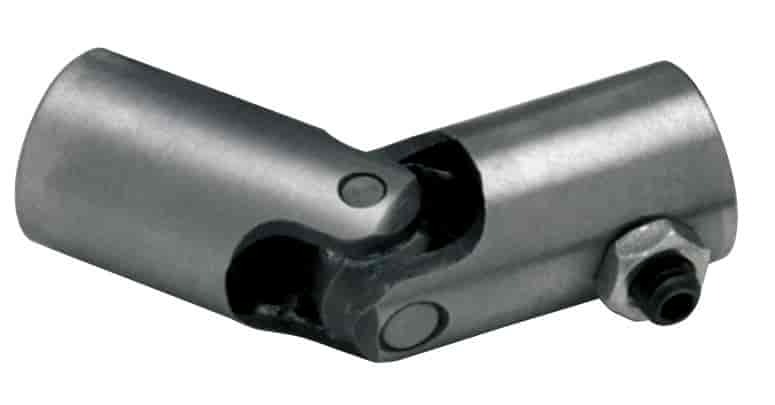 These steel Pin and Block Universal Joints are available in both 1-1/4'' outside diameter and the smaller. Note: Racing design only. NOT recommended for street use. Frequent lubrication is required. Rubber boots retain lubrication, and are not included.